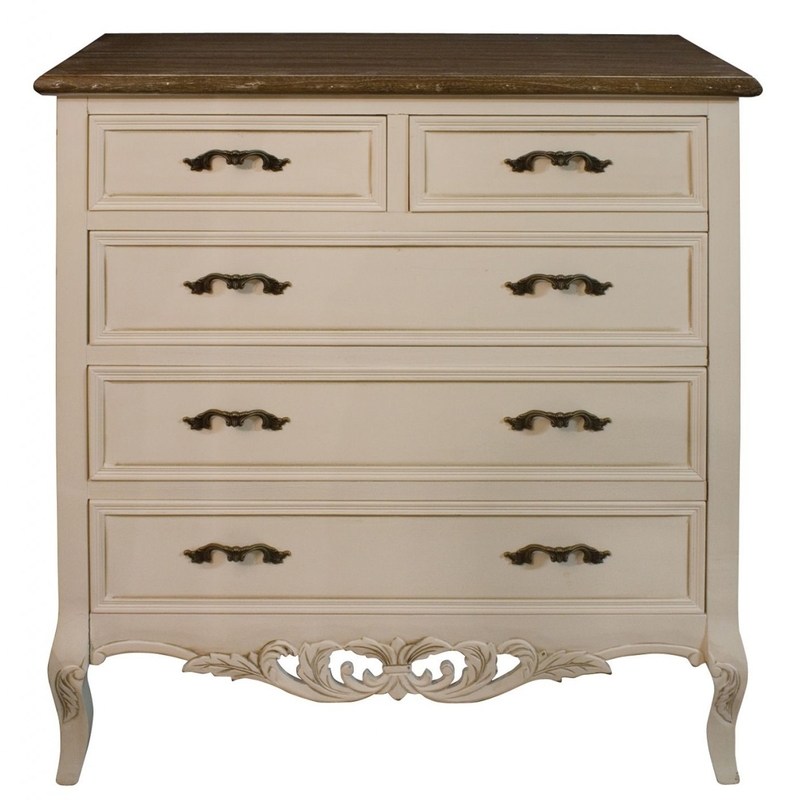 Introduce to your home this gorgeous Antique French Style wooden chest of drawers. A ideal and handy new addition to any home to give it that stunning elegant feel and touch towards the whole of your room. This chest of drawers features delicate curves, carving and a gorgeous contrast between the natural wood and paint which will give your whole room a wonderful expressive look. This items includes the distinctive metal handles which give the whole wooden finish a unique , simple touch.